Morgan City Rentals has become a leader in offshore rental equipment due to our commitment to quality assurance and safety. Our team is dedicated to ensuring our quality policy has been implemented with all rental equipment. We have customized our inventory and personnel training to meet and exceed the requirements of our clients. Call for more information. Documentation, accountablity and responsibility from our management is the cornerstone to our quality control or quality assurance procedure. This commitment will not be compromised to meet a rental until all processes are completed. 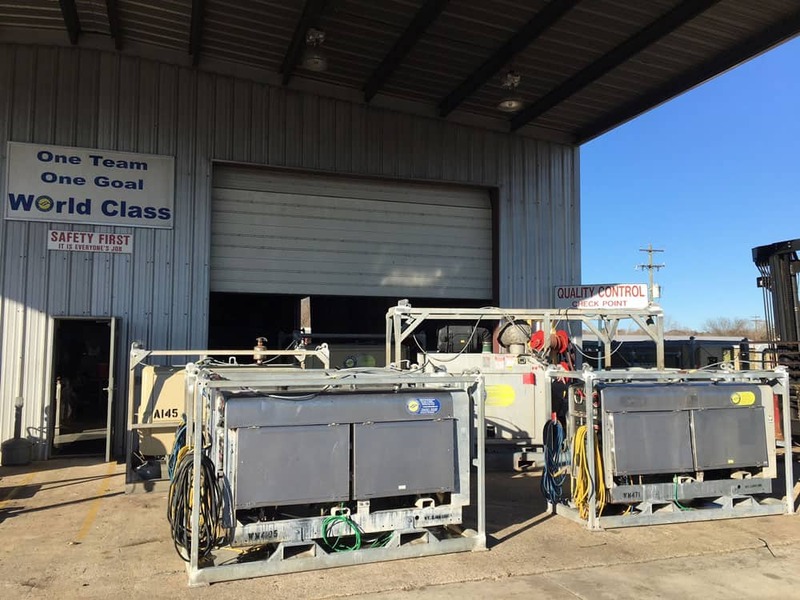 Morgan City Rentals has a 4 step QC/QA procedure for each rental item in its rental fleet. This system was designed to meet customer’s expectations and comply to the changing requirements handed down to our industry. We have taken a very proactive approach by identifying inefficiencies, addressing habitual issues, and making changes from the design of skid packages to updating engine specifications and service procedures on current rental packages. Rental relationships with contractors and some of the major operators has help MCR to improve our equipment and preventive maintenance processes and procedures. Our quality policy has real time upgrades when trends and better maintenance solutions are analyzed, updates can be made to our work order procedure so that new processes can be performed at the next service interval. Weekly mechanic meetings with all MCR mechanics address and discuss every equipment swap out and addresses each QC rejection that occurs at Morgan City Rentals. An offshore rated, skid mounted 825 CFM air compressor being prepped for painting. Checking and documenting engine RPM’s on a diesel air compressor is part of our preventative maintenance program at Morgan City Rentals. Morgan City Rentals’ Equipment Specialists providing an onsite training session on the safe practice and procedures prior to project start up. Final touches on a 6x6 Jet Pump after painting.